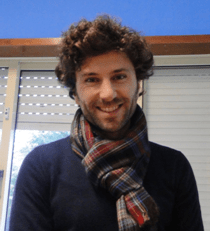 Pedro Bras da Silva from Porto in Portugal is a Speech and Language Pathologist since 2000, and obtained his Master’s Degree in Speech and Language Therapy from the School of Allied Health Technologies ,Polytechnic Institute of Oporto. Between 2000 and 2003 he worked in several private clinics with deaf and hard of hearing (D/HH) children. From October 2003 until August of 2008 he worked in public schools serving D/HH children and their families, using all kinds of communication options. During this period, he completed an exam in Portuguese Sign Language . Since 2008 until now he has been working with D/HH with listening and spoken language skills and with different hearing technologies. In 2004 he was invited to be Assistant Professor at the School of Allied Health Technologies in Speech and Language Therapy and Audiology, the position that he retains until now. Between June 2011 and September 2012 he received a Certification from a Professional Education Program in Auditory -Verbal Practice approved by the AG Bell Academy for Listening and Spoken Language, supervised by professor Warren Estabrooks (LSLS Cert. AVT). Currently he is in a Certification Process to be LSLS (Listening and Spoken Language Specialist). During the last few years, he has been making speeches in national and international conferences. Since 2014 he is a member of the Audition Department of the Speech and Language Scientific Society. He is also a consultant of two non-profit associations that support people with hearing loss. Pedro lives near the beach, where he loves to walk with his wife and two girls.